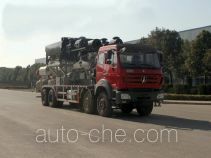 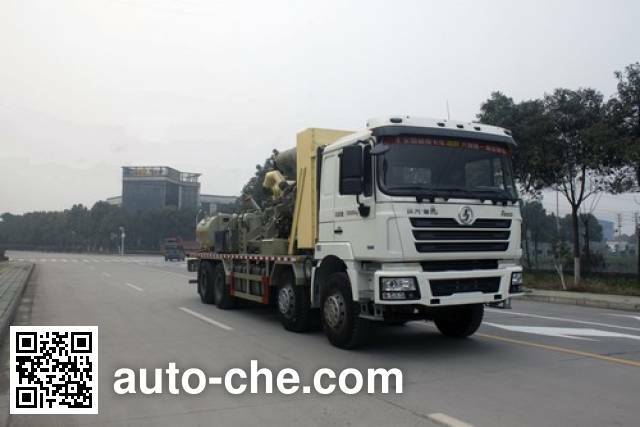 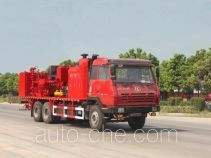 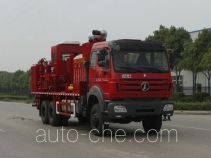 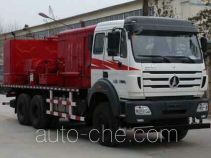 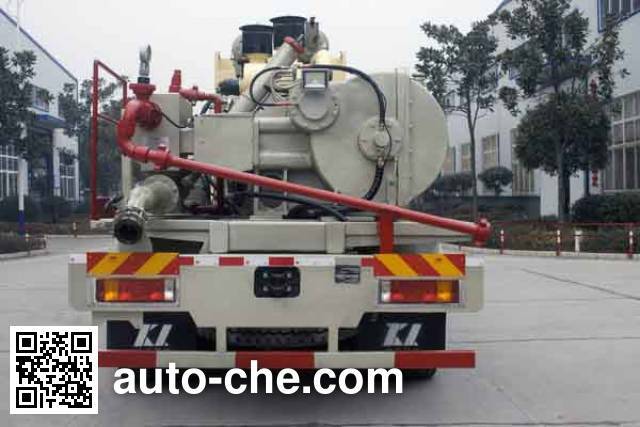 PetroKH fracturing truck KHZ5300TYL (batch #283) based on SX1316NR406 chassis is made in China by Hubei Petrokh Machine Manufacturing Co., Ltd (ZYKH). 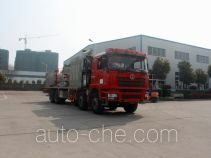 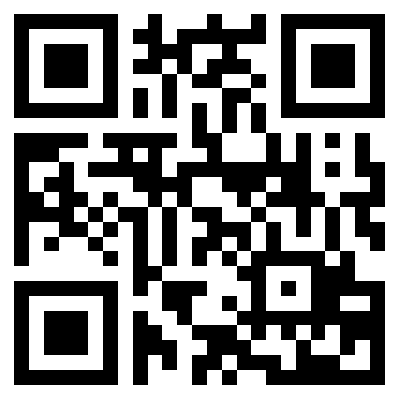 The company is located in Jingzhou, in Hubei Province, China. 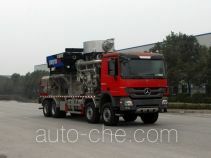 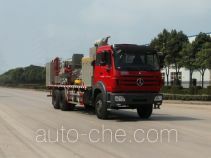 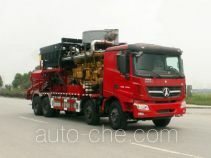 1 WP10.300E40 9 726 cc 9.7 L 594 cu in 221 kW 300 hp Weichai Power Co., Ltd.
2 WP10.336E40 9 726 cc 9.7 L 594 cu in 247 kW 336 hp Weichai Power Co., Ltd.
3 WP12.336E40 11 596 cc 11.6 L 708 cu in 247 kW 336 hp Weichai Power Co., Ltd.
4 ISM11E4 345 10 800 cc 10.8 L 659 cu in 250 kW 340 hp Xi’an Cummins Engine Co., Ltd.
5 WP12.375E40 11 596 cc 11.6 L 708 cu in 276 kW 375 hp Weichai Power Co., Ltd.
6 ISM11E4 385 10 800 cc 10.8 L 659 cu in 280 kW 381 hp Xi’an Cummins Engine Co., Ltd.
Oilfield vehicles, protective material Q235A, with bolts, rear protective section size of 100 mm × 50 mm, ground clearance of 450 mm. 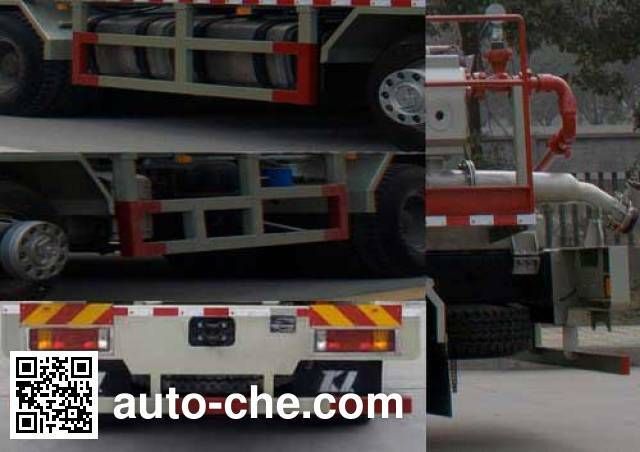 ABS manufacturers are: Guangzhou Municipal Bureau of Automotive Brake Technology Development Co., Ltd. CM6XL-6S / 6K (6S / 6M), Guangzhou Municipal Bureau of Automotive Brake Technology Development Co., Ltd. CM4XL-4S / 4K (4S / 4M), Xi'an Dunwell Electronics Co., Ltd ZQFB-V, Zhejiang VIE VIE ABS-ⅱ Technology Co., Ltd.